​Mary has been involved with the Newtown Choral Society since 1987 as a member and treasurer and as Director since 1998. 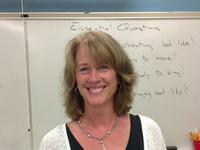 Mary has her Bachelor of Science degree in Accounting and is a CPA. In 1998 she earned her Bachelor of Music in Voice Performance from Western Connecticut State University. 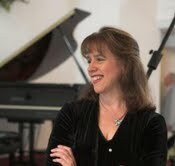 She taught voice and piano, directed a church choir and performed in a number of recitals. While Mary is back to working in Finance, currently as the metro regional controller for BBU, she is happy to be able to continue her involvement in music and the Newtown Choral Society. Mary lives in Sandy Hook with her three children.